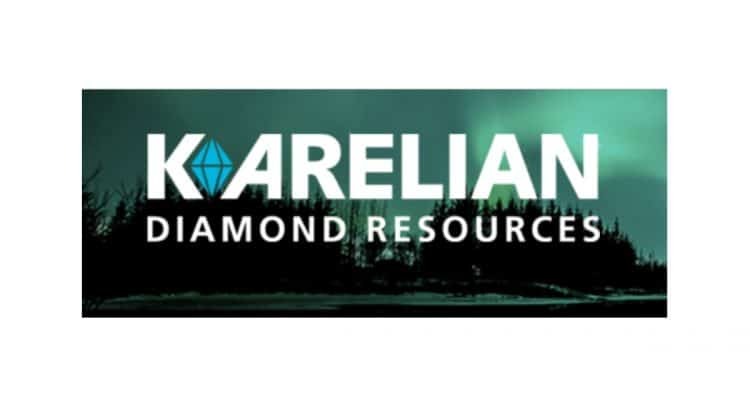 Karelian Diamond Resources plc (“Karelian Diamonds”) (AIM: KDR), is pleased to report that TUKES (The Finnish Mining Authority) has granted a Reservation situated in the Liperi region of eastern Finland to Karelian Diamonds. A review of positive past exploration results and airborne geophysics in the area led to the decision to apply for the Reservation. The Liperi region lies within a geological area known as a Craton, which straddles Russia and Finland. Two world-class diamond deposits, Lomonosov and Grib, have been discovered on the Russian sector of the Craton and are now in production. Karelian Diamonds has an ongoing exploration programme on the Finnish sector of the Craton, in particular in the Kuhmo region where it has discovered two new kimberlite bodies. It is also assessing a diamond deposit at Lahtojoki in the Kaavi region of Finland with a view to developing a mine, which would be the first in Europe outside Russia. The Liperi Reservation covers an area of 12 Km². A Reservation gives exclusive rights to apply for an Exploration Permit within the Reservation area.